When FortuneJack first opened its digital doors in 2014, they became the first Bitcoin casino to offer other cryptocurrencies as transaction options. 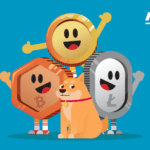 Alongside the promise of more altcoins being added on an ongoing basis, this online casino now offers seven major altcoin (Bitcoin Cash, Litecoin, Ethereum, Dogecoin, Monero, Dash, Zcash) transaction options, making them one of the most accessible casinos within the cryptocurrency betting niche. As the leading Bitcoin casino, FortuneJack has an intimate understanding of the importance of online privacy and anonymity. That’s why, when you register, the company does not collect or store user data, and the only information that needs to be provided during registration is a username and password, email, and phone number, the latter is only required to claim no deposit bonus. All told, the whole process takes less than two minutes. 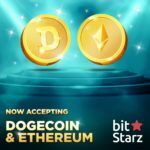 They also offer a no-deposit bonus for newly registered players, a good opportunity to try their extensive selection of games before depositing your own cryptocurrency. 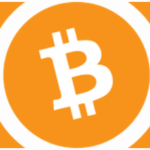 FortuneJack is the leading Bitcoin casino for good reason. They’re the first community-specific Dice game, and they have the most gaming categories offered at a cryptocurrency casino. In fact, you can find over 2,500 games in their lobby from several different software providers, including iSOFTBET, NetEnt, XProGaming, TomHorn, Endorphina, Evolution Gaming, Microgaming, and upcoming PlaynGo, Scientific Games, WMS, Bally, NYX. From table and card games to Slots and Video Poker, there’s truly something for everyone, and they come in a wide range of styles. You can also find several Live Casino rooms for live-streamed, in-person action. And while you may find some of what they offer elsewhere, FortuneJack has several signature in-house games, from Dice with its famously low house edge to BlackJack, Fortune Wheel, Keno, Bingo, and Fortune Slot, all exclusive to their lobby. 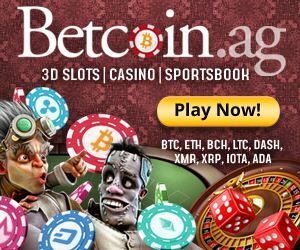 With seven different gaming categories (and the Sportsbook and Texas Hold’em Poker set to be released soon), the number of high-quality games ensures that no player will be able to find a more diverse selection from a different cryptocurrency casino. Further, the FortuneJack team made this promise to themselves and to every player in their community: every month, they’ll be adding at least one new provider and game. This guarantees that there will always be something new to discover. FortuneJack has not shied away from being public about their mission for offering the best promotions in the online casino world. You won’t find typical promotions in general, and we’ll get into that in a moment, but they also say that they will match the terms of any online casino in the Bitcoin/crypto industry with a better bonus. You’ll be hard-pressed to find it, but if you do, they’ll give you the same deal, or a better one. But beyond that, FortuneJack offers a large, deposit-matching 5 BTC Welcome Bonus with 250 Free Spins, and a no-deposit bonus just for registering. Every day of the week, they have a different promotion, like an even lower house edge on Dice every Wednesday, and 10% cashback on losses all day on Friday when you play Roulette. As you place bets, you’ll also reap the benefits of Jack’s Circle, a loyalty program that has players earning Comp Points, lower rollover requirements, exclusive bonuses, and even physical gifts for the most loyal players. You’ll also find weekly, monthly, and seasonal promotions offered all the time, giving you something to look forward to in your inbox — like free money to play your favorite games. Jack is an in-house character that serves the community, notifying, congratulating, and informing with the spirit of a true gambling connoisseur, an immersive addition to the FJ experience that ups the fun and helps to clarify. 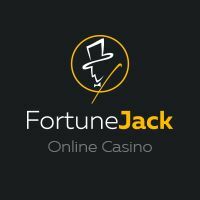 FortuneJack has a 24/7 live chat support, with consistently minimal wait times and a positive online reputation for their knowledgeability and friendliness. But one of the more unique customer service aspects is the Provably Fair system. No more do bettors need to rely on third-party auditors to know the games they’re playing are truly fair and random, as they can see firsthand using the revolutionary, decentralized technology to check the fairness of every roll, spin, or deal. With the Provably Fair system, you can get the encrypted server seed before you bet, ensuring that the casino cannot change it afterwards. You can set your own client seed to ensure the casino didn’t generate one that would make you lose, then you can check to make sure it all matches up once the server seed comes back unencrypted. Even if you don’t use the Provably Fair system, it’s good to know that FortuneJack’s transparency extends to every player, allowing them to personally check the integrity of every game offering. With over 2,500 games from a variety of software providers within most of the gaming categories in existence, you (at the very least) know that you’ll never be bored. Further, with FortuneJack’s Provably Fair system and their dedication to security, privacy, anonymity, and transparency, this is the gambling experience hand-tailored to the cryptocurrency player. The promotions are highly lucrative and excitingly eclectic, and the instantaneousness of the withdraw and deposit times offers a streamlined experience that can get you placing bets, or spending your money elsewhere, with an intuitive ease. (With under 10-minute withdrawals that emphasize privacy and security, “intuitive ease” might just be an understatement.) The verdict? FortuneJack stands out, and with their continued push to stay the leading Bitcoin casino, we can only predict that they’ll just keep getting better.